Five Things Friday: Birthday Cards | Keeps Me Out Of Mischief! Happy Birthday to me! Not quite a milestone birthday (that’s next year) but definitely worth celebrating. This year I’m spending the weekend away with my sisters and their families so it’ll be a weekend of chasing many small children around and solving endless arguements of ‘this is mine, I don’t want to play with it, but if I see you playing with it, I’ll want it immediately’! You’re probably wondering how this Five Things Friday post fits in to the January theme of ‘Organisation’. I like to get all of my birthday cards sorted for the next month, so this week I’ve sorted out all the February greetings cards for friends and family. Here’s some inspiration to get you organised for the next month. 1.Freda’s Peach shares this easy idea using washi tape. 2. 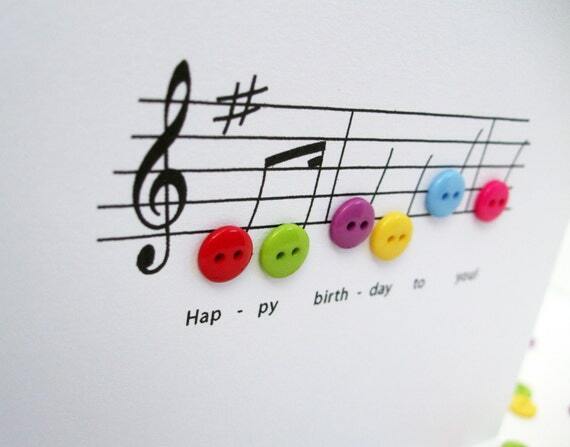 Nikelcards shares this cute musical idea on Etsy. 3. 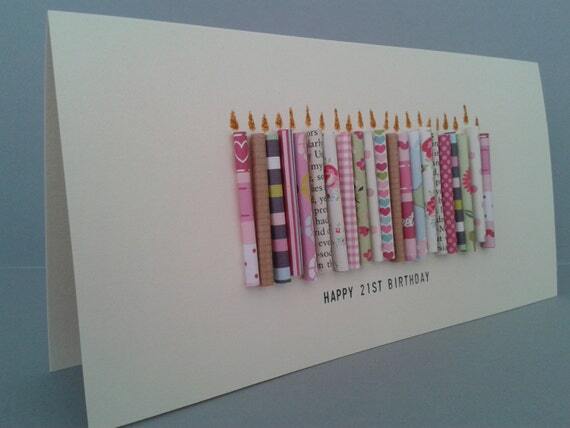 Gurdgifts sells this candle card using rolled up paper on Etsy. 4. Julianna sells this stash-busting birthday card on Folksy. 5. 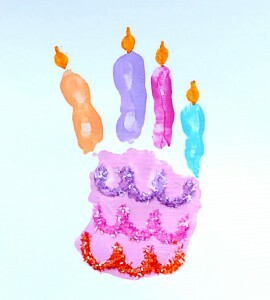 Molly Moo Designs shares this idea for creating a birthday cake from a child’s handprint. I don’t think I could get mine to sit still for long enough to paint their hand in all those different colours! I hope you’ve enjoyed this month of inspiring organisation ideas. Next month Five Things Friday will be bringing you inspiration for feeding your children with healthy food, hope you’ll join me!